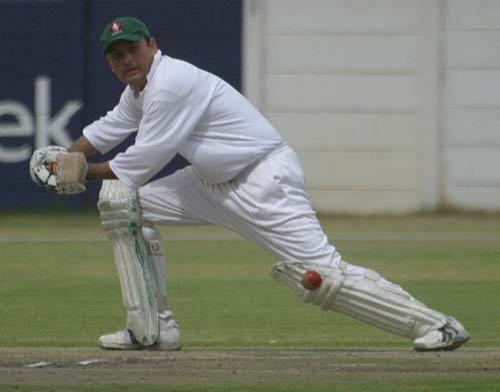 Hitesh Subhash Modi (born October 13, 1971 in Kisumu) is a former Kenyan cricketer. He was a left-handed batsman and a left-arm offbreak bowler. Having made his ODI debut in 1992, Modi had ever been part of the middle order of the team, as well as being involved in the 1996, 1999 and 2003 Cricket World Cups and the 1994 and 1997 ICC Trophy. Having seen several players fall by the wayside due to disagreements over contracts, including Steve Tikolo, Modi was invested as captain. Modi's father is Subhash Modi, and the pair are unique as the only father/son pair to appear as batsman and umpire in the same One-day International. Against Bangladesh at Nairobi in August 2006, father gave son out lbw.